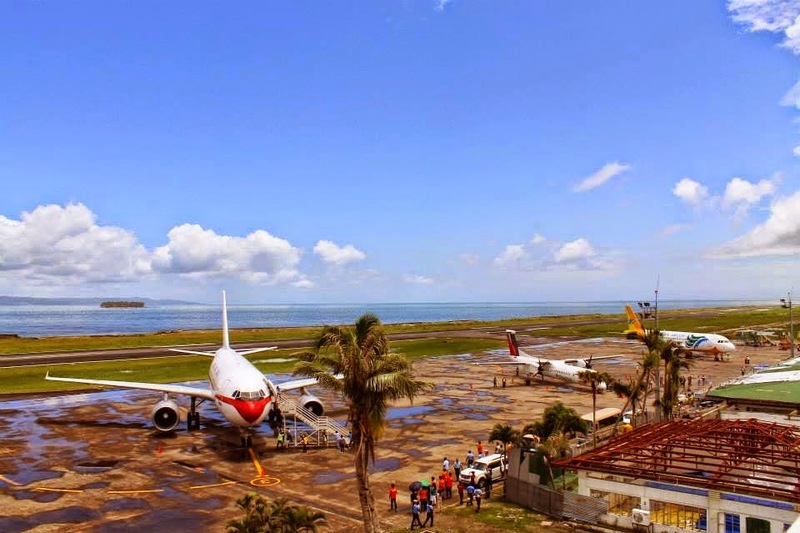 Aviation Updates Philippines - The Civil Aviation Authority of the Philippines recently opened the Daniel Z. Romuladez Airport in Tacloban for jet operations after it finished four-month runway rehabilitation due to potholes on the runway. In an advisory issued by the Civil Aviation Authority of the Philippines as of 4 PM on Monday, the airport is now capable for narrow-body aircraft such as the Airbus A320-200 and the Boeing 737-800. CAAP said carriers that operate narrow-body aircraft include Tigerair Philippines, AirAsia Zest, Cebu Pacific Air, and Philippine Airlines. “As of 4 p.m. Monday, 22 December 2014, the Tacloban airport runway reverts back to AIP Philippines (Aeronautical Information Publication), lifting the Notam and opening the 2138 x 45 meter runway to single-aisle jet aircraft like A320 or B737 to operate at the airport,” Civil Aviation Authority of the Philippines Director General, William K Hotchkiss III said. During its closure, CAAP coordinated with the management of AirAsia Zest, Cebu Pacific Air, Philippine Airlines, and Tigerair Philippines, who all agreed to temporarily stop flying at the Tacloban airport using narrow-body aircraft. The agency also said that PAL Express Flight 2P 1987, an Airbus A320-200 from Manila, arrived in Tacloban with 153 passengers and an infant. The recent closure of the airport to jet aircraft forced AirAsia Zest, Tigerair Philippines, and Philippine Airlines to cancel their flights. Both Cebu Pacific and PAL Express operated their propeller aircraft via Manila or Cebu. According to an advisory released by Cebu Pacific, the airline will reinstate their flights between Manila and Tacloban using its Airbus A320-200 aircraft. 5J 657 / 658 Manila – Tacloban – Manila. The airline said that passengers originally booked on these flights and who have already moved their flights may choose to retain their current bookings or opt to rebook back on these reinstated flights without charges. Pope Francis is scheduled to visit Tacloban on January 17. The runway rehabilitation finished just in time before the Pontiff's visit. Pope Francis will have a lunch with the Super typhoon Yolanda's victims at the Archbishop's Residence in Palo, Leyte (See the Pope's Philippine Itinerary here). Pope Francis is scheduled to arrive from Sri Lanka on board SriLankan Airlines Airbus A330 at around 5:30 p.m in NAIA. He will fly using an Airbus A321-200 aircraft of Philippine Airlines, its official carrier, to Tacloban City in the morning of January 17.